Carrie chats with Canadian Olympian Krista DuChene! They talk about her incredible 3rd place finish at the 2018 Boston Marathon, her transition from hockey to running, and how she still loves the process of getting to the start line after 17 years of marathoning. Fitsok – C Tolle Run listeners can enjoy 30% off at www.fitsok.com. Just enter the code run30 at checkout! 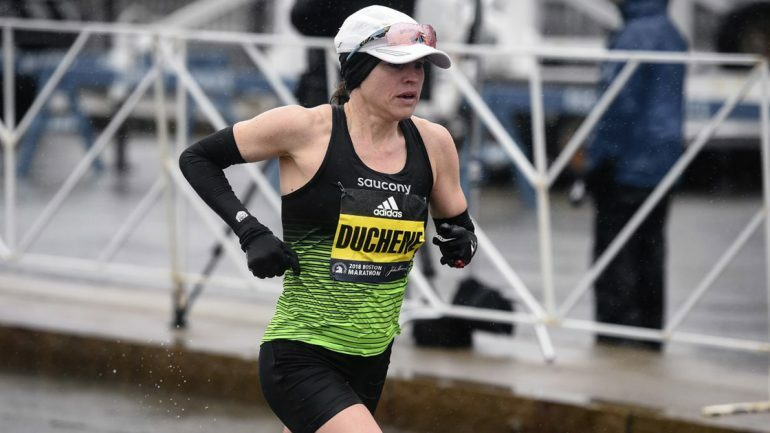 Krista DuChene placed 3rd at the 2018 Boston Marathon and 35th at the 2016 Olympic Games. She is a mom of three, Registered Dietitian, Public Speaker, and the third fastest Canadian marathoner in history. She enjoys sharing her inspiring story about success after pregnancies, injuries, and disappointments as well as writing, broadcasting and promoting special events.